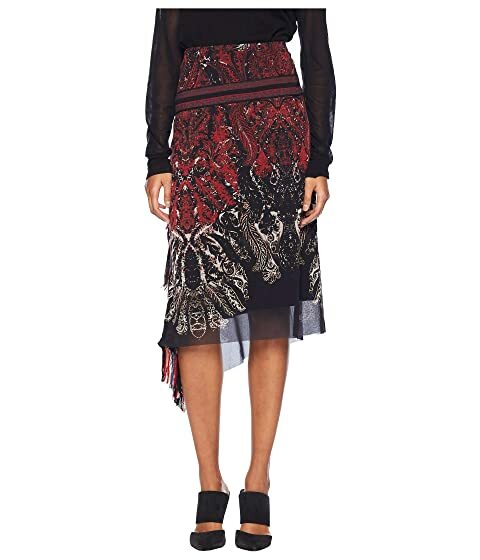 Turn up the heat on your style wearing the FUZZI™ Paisley Finge Skirt. Fringe detail at right side. We can't currently find any similar items for the Paisley Finge Skirt by FUZZI. Sorry!